I Don't Wanna Wear a Crown! 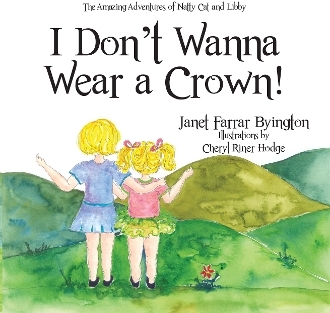 Our Products >> I Don't Wanna Wear a Crown! Natty Cat is a smart little girl who is curious about the world around her. What will she be when she grows up? By asking her mom, her dad, her grandma, and her best friend, Libby, Natty Cat soon learns that girls can be anything at all—it just takes hard work!